The Ecodesign Directive is EU’s requirement for a higher energy efficiency of devices for air conditioning, ventilation, heating and cooling. The European Commission has designed it based on the requirement for general reduction of energy and resources consumption. The Ecodesign Directive was introduced with the intention of removing the least energy efficient AC devices from the market. By ensuring energy-efficient providers on the market, the EU has come significantly closer to its goal of lowering energy consumptions in buildings, defined in the EU energy strategy for 2020. 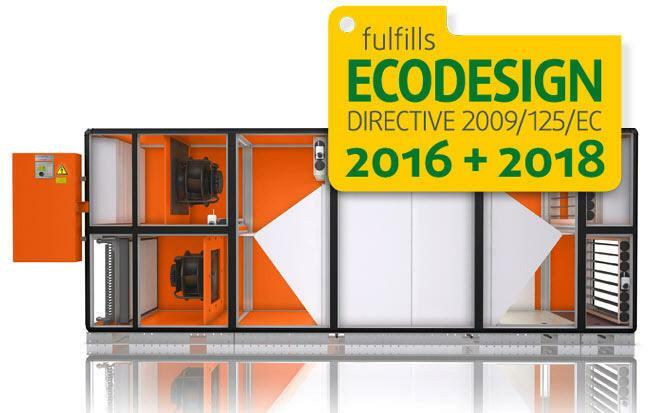 The EU Ecodesign Directive entered into force on 1 January 2016 in all member states of the EU. The Ecodesign Directive is already followed by those Menerga devices that must follow it under the regulation. Menerga is already preparing for other devices to follow the Ecodesign Directive in the future. In the field of air conditioning, ventilation and dehumidification of swimming pool halls, the first products to follow the Ecodesign Directive will come from the product family ThermoCond 38. You can find more on the Ecodesign directive on the pages of the European Commission.